You should really look at making a mood board when you’re starting any kind of creative project. If you’ve never made one before, you might be wondering what a mood board is, how you create one and how it can help. A mood board is a collection of ideas that have been put together by researching projects similar to the one that you’re working on. Having plenty of ideas will provide inspiration and encourage creativity amongst yourself and your collaborators. Making a mood board can be a huge difference maker in the quality of a project. Making music requires working with different people and collaborating across production, art and video. Having different types of mood boards will be vital in helping you communicate your vision to different people. What is the purpose of a mood board? A mood board is made to help create a palette of ideas that can help establish a direction in a project. It can be a valuable asset for working with others and it also prevents you from straying too far from your original vision. 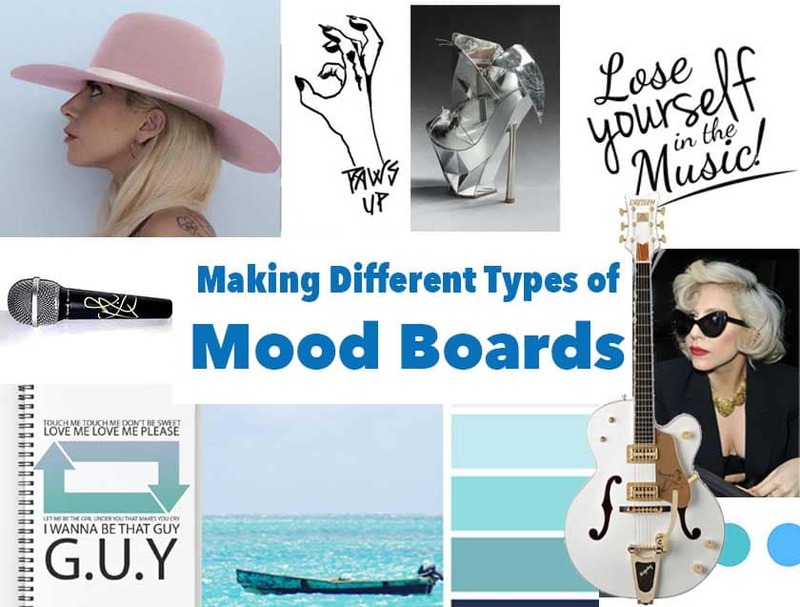 What is included in a mood board? You should include relevant and consistent ideas from a diverse range of sources. If your ideas are too different, then your mood board will become confusing and without a clear direction. Also, if you don’t have enough sources, you might just end up copying another artist. 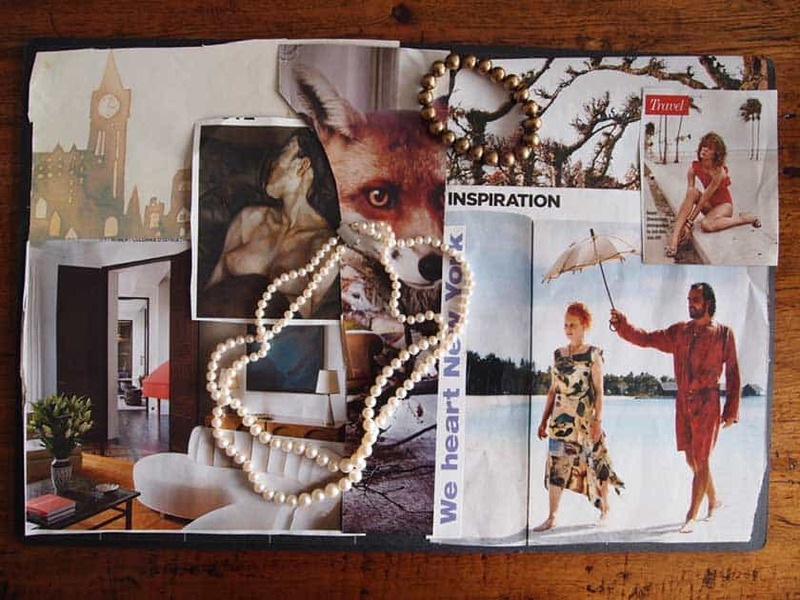 How do you create a mood board? It is good to start by getting plenty of ideas on your mood board and then narrowing it down from there. With lots of ideas, you’ll be able to compare them to each other and cut down by a process of elimination. When you create a mood board this way then you are only going to end up with the best ideas. It is also better to have a full board than one with only a few ideas. Again, too few sources lead to derivative work so be thorough with your research. There are many different themes that you could use to create your mood board. The theme you pick really depends on the kind of project you’re working. Remember that the whole point of this is to get inspiration and direction. Making a mood board for music can be done in many different ways. Let’s start with songwriting. This is typically the first stage of the music making process so it is a great way to get started on your mood board. You want to focus on the song without production to distract you so it could be a good idea to find acoustic versions of songs. This way you can focus on the lyrics, melodies and hooks and hear how a song works when it is stripped back. If you are going to work with session musicians then you need to have a mood board to give them some guidance. Try and focus in on the individual parts of songs you like or want to emulate, for instance, a great guitar part or bass line. Whilst individual instrument parts tie into the production, you might want to create a separate mood board for your producer. This will give them a better idea of the aesthetic that you’re trying to achieve. They might even find more inspiring songs that you could add to your mood board. Mood boards don’t just have to be made with music. In fact, creating a fashion mood board is perfect for finding out how you want to look on stage. Many famous artists are well known for their distinct visual style and mood boarding fashion ideas can help you achieve this. A fashion mood board is essentially a collection of looks and clothes that will help inspire your dress sense. You can go on websites such as Pinterest and Tumblr to find images of your favourite singers or models and see what they’re wearing. Instead of buying clothes because you think they look good, you can now start shopping based on what you’ve seen on your mood board. This can help you attain a more consistent look and make you stand out. When you’ve recorded a single or EP, you need to create artwork to accompany the release. It generally isn’t a good idea to go straight into making artwork without some ideas and inspiration on the table beforehand. There is a limitless amount of album artwork so there is plenty for you to work with. Look for recent trends in album art as well as classics from the past. Get plenty of ideas on the table and pick out your favourites, your photographer or graphic designer will definitely appreciate it. The more thought you’ve put into it, the more motivated they will be to achieve your vision. Music videos will arguably require the most thorough mood board as video and filmmaking tends to be very heavy on collaboration. You could find yourself working with someone on camera, directors, costume designers, editors and more. This means that you have to establish a consistent vision across all of these departments. Using your favourite music videos is a great way to do this. However, you could also look at scenes from films, clothes and looks from fashion designers as well as colour palettes from different artworks. What’s on your mood board? Tell us the best things that you’ve seen in the comments below.